Little, Brown Books for Young Readers, 9780316056243, 448pp. 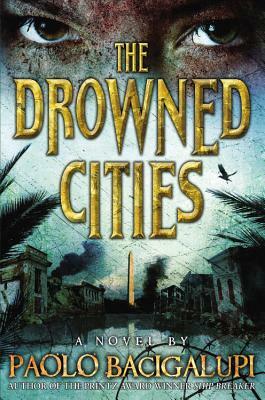 Paolo Bacigalupi is the author of the highly acclaimedThe Drowned Cities, as well as his debut young adult novel, Ship Breaker, which was a Michael L. Printz Award winner, a National Book Award Finalist, and a Locus Award winner. His debut adult novel, The Windup Girl, was named by Time Magazine as one of the ten best novels of 2009 and won the Hugo, Nebula, Locus, Compton Crook, and John W. Campbell Memorial Awards. His short-story collection, Pump Six and Other Stories, was a 2008 Locus Award winner for Best Collection and was also named one of the Best Books of the Year by Publishers Weekly. He lives with his wife and son in western Colorado. * "Bacigalupi writes with a furious energy that makes this brilliant depiction of an all-too-believable future impossible to forget. A story that will resonate beyond its final page."